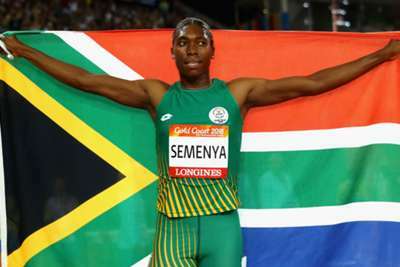 The IAAF has agreed to delay the implementation of a new ruling on hyperandrogenism until next March to avoid further delay in an appeal lodged by Caster Semenya and Athletics South Africa (ASA). Athletics' governing body in April announced new regulations affecting women with higher than normal levels of testosterone who compete in track events ranging from the 400 metres up to a mile. Two-time Olympic gold medallist Semenya challenged the "unfair" rules, which would only permit athletes to compete if testosterone levels are within set limits for a continuous period of at least six months. Semenya has taken the fight to the Court of Arbitration for Sport (CAS) and the IAAF on Tuesday stated that it would put back the introduction of the regulations - which were due to come into force on November 1 - until they are upheld. The IAAF is confident CAS will give the green light for the rules to be implemented on or before March 26. "Prolonging the uncertainty for athletes looking to compete in these distances next year and beyond is unfair and so we have reached a compromise with the claimants," said IAAF president Sebastian Coe. "We have agreed not to enforce the regulations against any athlete until the contested regulations are upheld. "In exchange, they have agreed not to prolong the process. All athletes need this situation resolved as soon as possible."